Welcome to Beerscape. This is the first in what I hope will be a long series of posts about worldwide brewing and former brewing locations, in fact pretty much anything combining architectural and brewing-related elements. 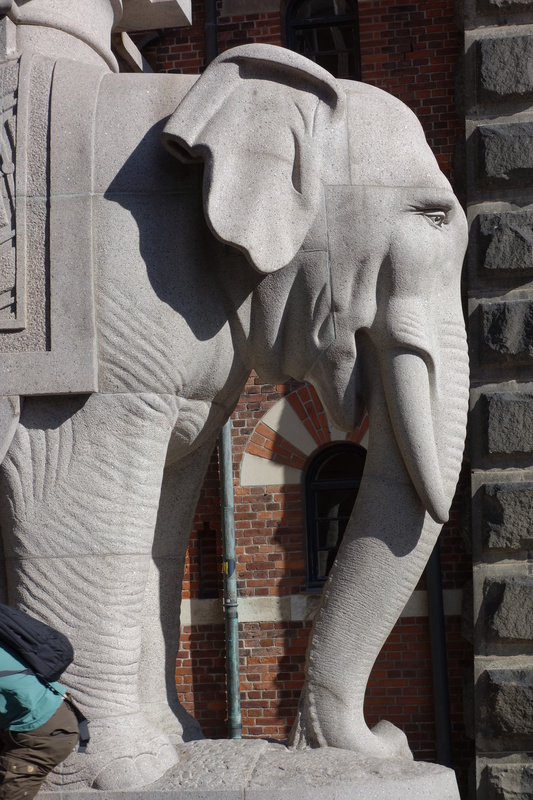 The background to the blog view is one of the famous elephants from the Carlsberg Brewery in Copenhagen – along with a disappearing section of one of the city’s numerous cyclists, exiting stage left. Find it on Google maps at http://goo.gl/maps/nAU7N – the brewery occupies a large area around the western end of Ny Carlsberg Vej. Most of the posts in this blog will briefly describe what’s to be seen at a particular location, and show a few photos. For more details on the project, check out the ‘About’ page. And come back soon when there will be more to see. This entry was tagged Copenhagen. Bookmark the permalink.